Mission Valley Mariner JT Probst hurls a pitch Sunday during the Mariners’ Mother’s Day game against the Kalispell Lakers. Results from Sunday’s games were not available by press time. On Saturday, the Mariners A team fell in two rounds to the AA Kalispell team, losing the opener 6-0 and the nightcap 15-5. 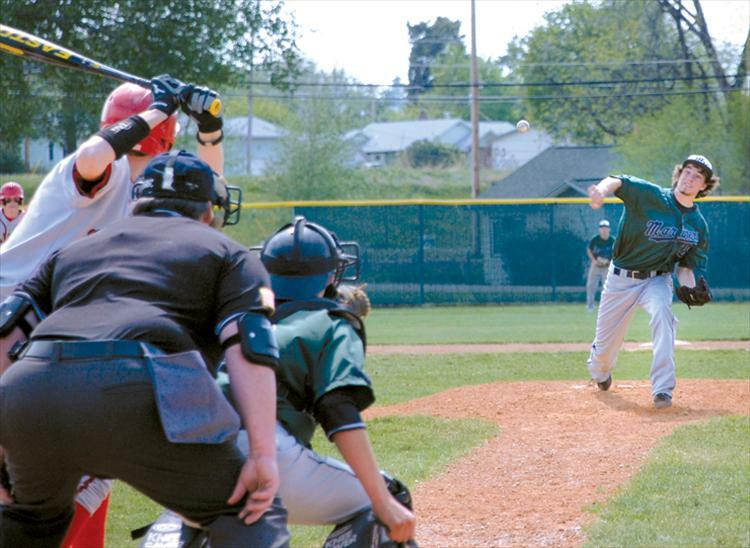 The Mariners are on the road to Eureka and Missoula this weekend before holding baseball camp in St. Ignatius on May 25.